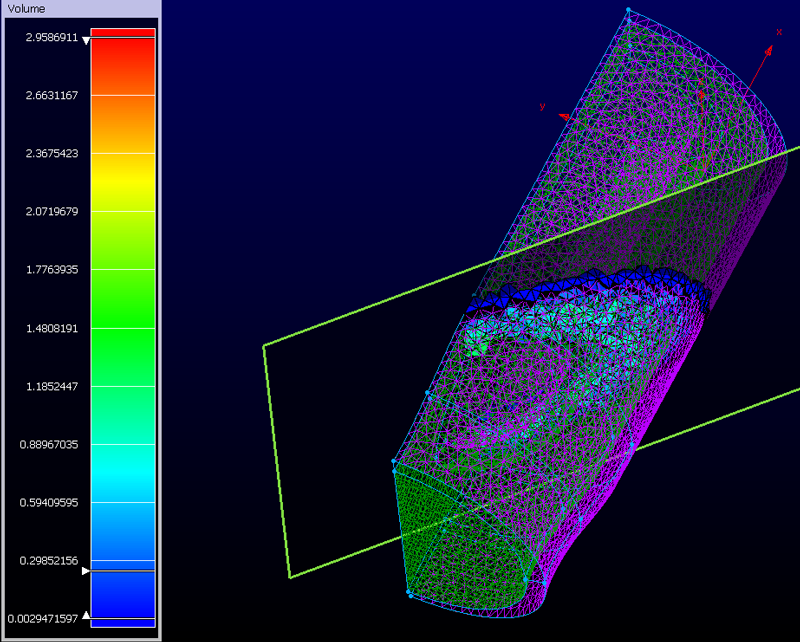 Pointwise Version 17.3 R1 is now available for download and production use. The main new feature in this release is the integration of Pointwise with overset grid assembly (OGA) software packages PEGASUS and Suggar++. Support for both structured and unstructured overset grids. Direct interfaces to PEGASUS v5.2 and Suggar++ v2.2. Parameter setup for OGA computations. Importing the results of the OGA computations. Visualizing the OGA results (see Figure 1). OGA remediation through mesh adaption. 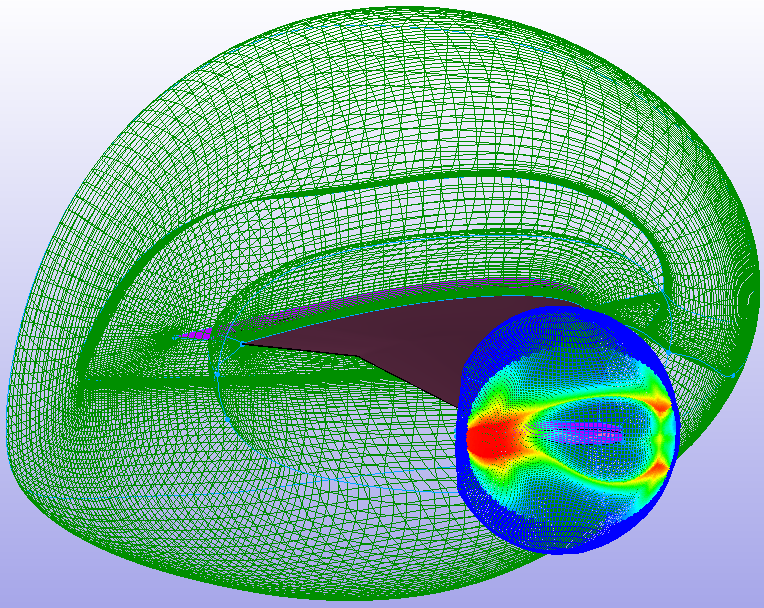 Figure 1: The new overset Examine diagnostic shows fringe/donor volume ratio in this example of an aircraft wing. Note: The PEGASUS and Suggar++ products are provided by third parties and are not included with Pointwise. PEGASUS is developed and maintained by NASA. Suggar++ is a commercial product of Celeritas Simulation Technology. PLOT3D File Attributes: Support for PLOT3D file import and export has been expanded to include file attributes byte order (big and little endian), dimension (1D, 2D, and 3D), blocking (single or multiple), and IBLANK. Drawing DB-Constrained Curves: The Draw Curves tool has more controls related to creation of curves constrained to geometry. These additions include the option to unconstrain point selection, an optional toggle to disable surface-constrained drawing, and the ability to select specific surfaces on which to draw. Fluent Export: ID numbers are no longer appended to BC names during export to ANSYS Fluent®. Normal Vectors: The Orient command now displays normal vector indicators for 2-D grids. Display Attributes: Display attributes can now be applied directly to model and block entities. The attributes flow up to those entity's parents (i.e. the attributes get applied to all of a model's quilts and all of a block's domains). T-Rex (anisotropic tetrahedral extrusion): T-Rex now properly handles periodic boundaries and interblock connections when combining the extruded tetrahedral into prisms. Also, T-Rex now displays, as an aid in setting attributes, information about the spacing, growth rate, and number of layers for selected “match” grids. Cutting Planes: Grids may now be cut by arbitrarily oriented planes (as opposed to just X, Y, and Z constant planes) in the Examine command for visualizing mesh quality. Figure 2: Planes with user-defined orientations can be used to cut and visualize meshes. Layer Manager: The Layer Manager was improved by moving the Assign Layer control to the top of the panel and assigning a button to it for applying the assignment. Also, the list of layers highlights those that contain entities in the current selection. NX: Names for edge and face entities in NX CAD files are now imported. Examine: Mesh quality can now be visualized by invoking the Examine command while in the Solver. File Size: In order to reduce the size of the PW project file, structured volume grid points that have been generated by TFI due to the existence of a Rule are now saved without their volume points. Scripting: Print to File can now be called from the Glyph scripting language. STL: STL files with multiple bodies are now supported for both import and export. CAE Software Support: Export of Gmsh files was added. To download and begin using Pointwise V17.3 R1, go to the downloads page on our website, www.pointwise.com/downloads, or click the button below. Note: Use of V17.3 R1 requires a new license file.